Can be supplied with an anchored (industrial strength elastic bands) at all 4 corners. Mattress sides are exposed. 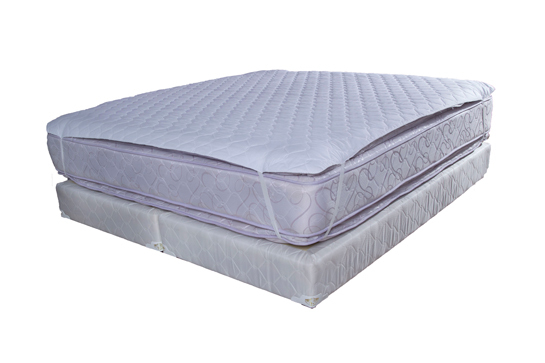 Can also be supplied with a stretch spandex material and fits like a fitted sheet. 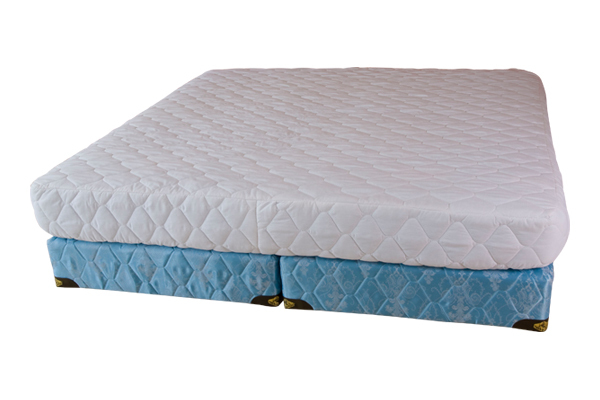 All sides and top of mattress are fully protected. Available in standard and waterproof. Available in all sizes. Custom sizes available.